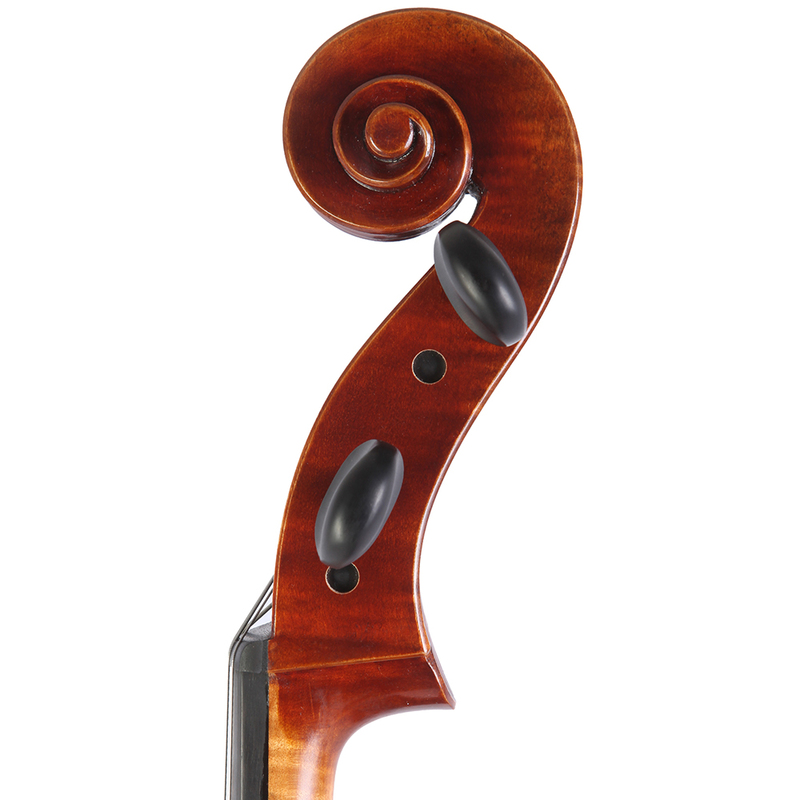 “Paolo Lorenzo”cello . Evenly flamed maple back, well-seasoned spruce top. Attractive golden brown varnish with shading. 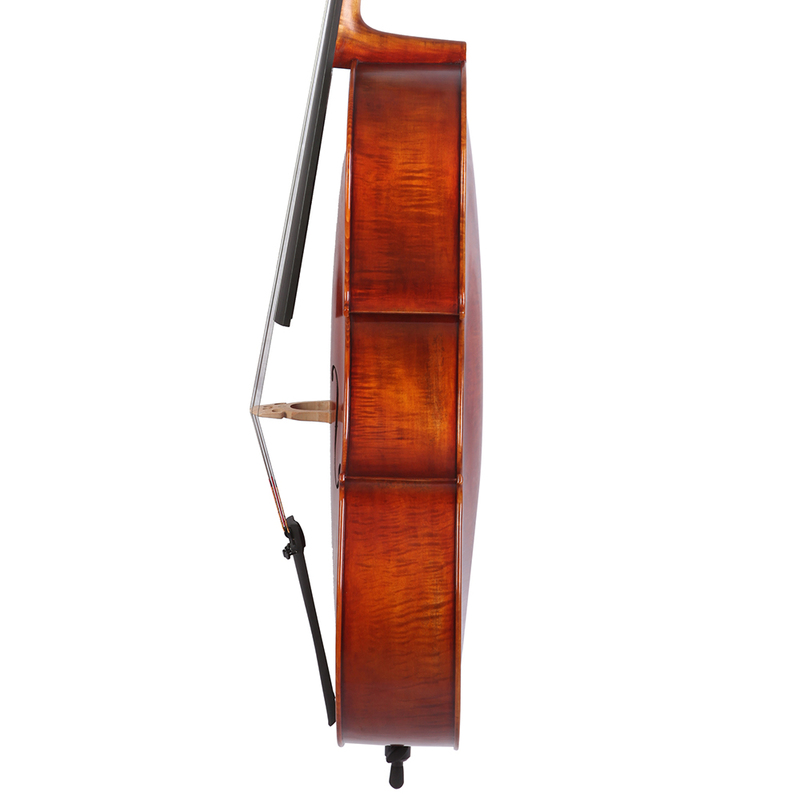 Quality instrument brings out clear and projective sound. 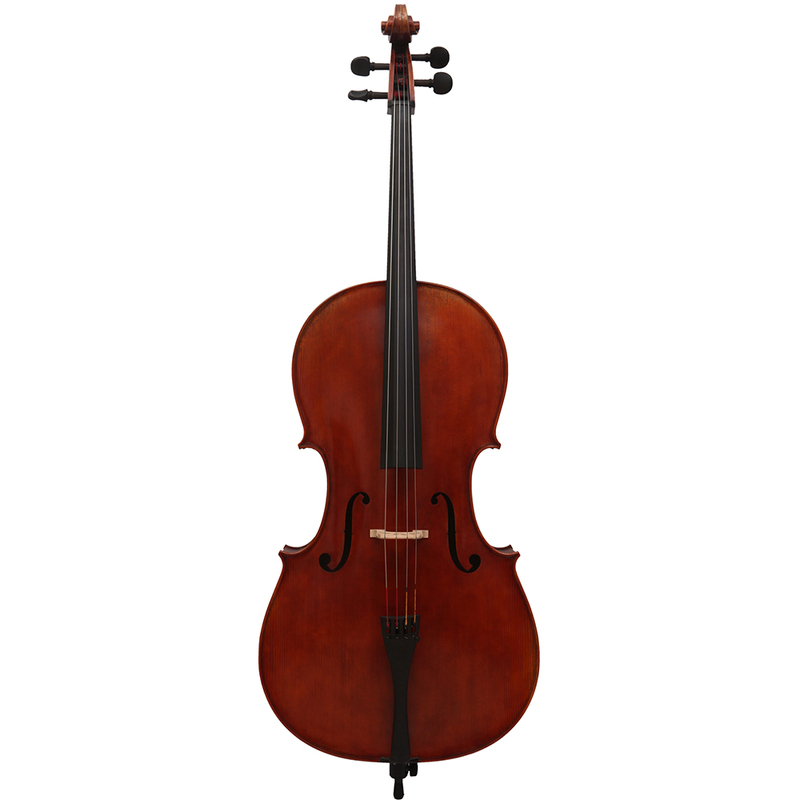 This model of cello is an excellent upgrade for the advanced student. Available in Stradivari and Montagnana patterns. Setup: D’addario Helicore viola strings, Aubert bridge ,Carbon Fiber tailpiece.